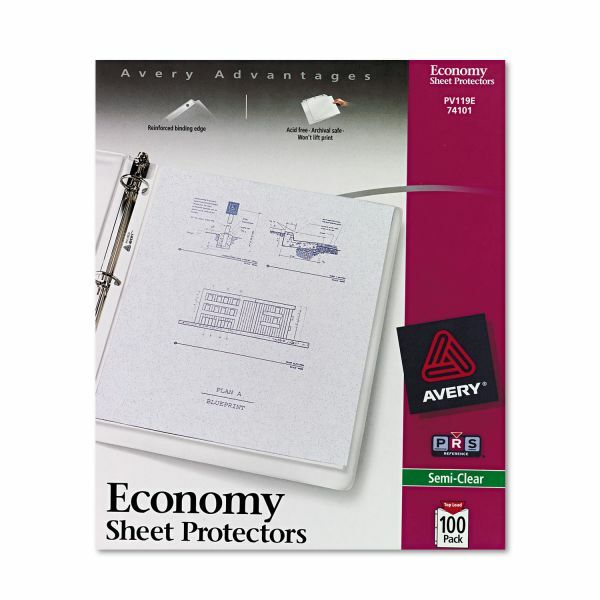 Avery Top-Load Sheet Protector, Letter, Economy Gauge, Semi-Clear, 100/Box - Semi-clear, top-loading sheet protectors are made of nonstick polypropylene that will not lift print off inserts and is archival-safe. 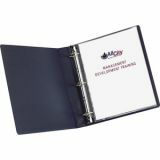 Inserts can be inserted easily from top. 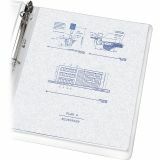 No need for hole punching. 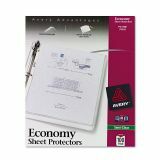 Lightweight material makes it great for protection and easy transportation. 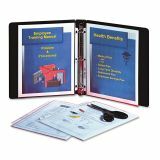 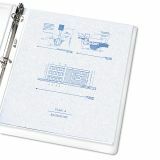 Nonglare sheet protectors also offer a reinforced binding edge and hold 8-1/2 x 11" insert sheets.